Let's use the gift of intelligent imagination to weave together deep faith and trust in the One Hashem, with love of Hashem and awe for how He has created us and the world. A world of imagination without love and awe of Hashem is fear-based and dark...each of us has the free will and creative power of speech to cry out to Him and make a difference by rising above the inner elements of water, fire, wind and earth that otherwise compete for our imagination - see Prophets vision page. Tisha B'Av is the anniversary of when we cried at the idea of going into the land of Israel and has been a day where there has been tremendous loss and anguish, both temples being destroyed on this day and more. 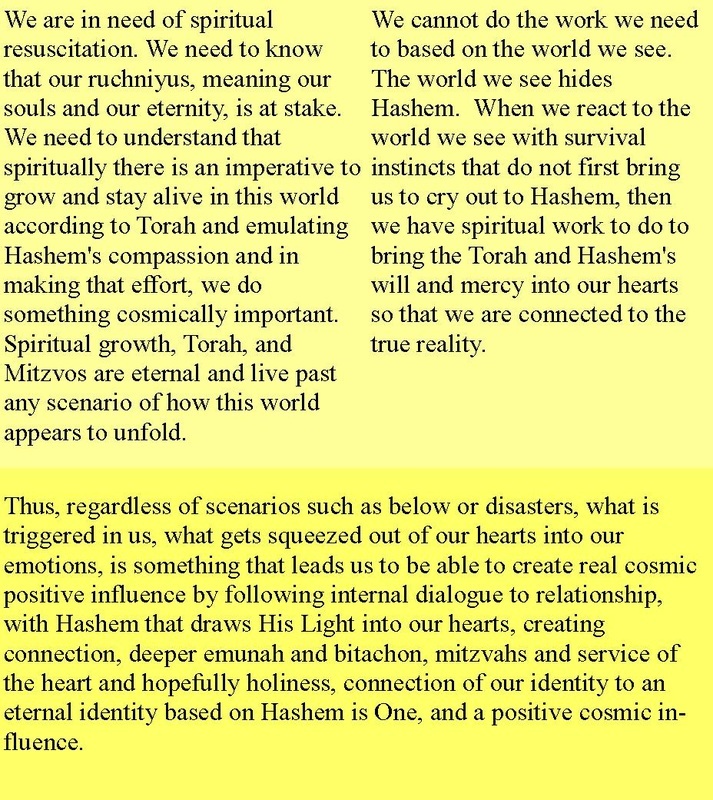 How do we re-orient our sense of happiness from the world we see to truly connect with love of Hashem and awe in how He has created the world as our source of joy and fulfillment? A world of imagination that realizes that Hashem is One is a heart that understands intrinsically when we are frightened, angry, or otherwise constricted that we are being given a real choice - to hold back the ability for His Compassion to shine into the world or to nullify our natural reaction. WE are the ones blocking it and frustrating the flow of compassion. Do we realize the love we show Hashem when we use free will to restrain our subjectivity in order to give voice and expression to His Compassion? Do we realize how that can positively influence everything? Let's get working!! Elul will soon be here. How do we want to review our year? 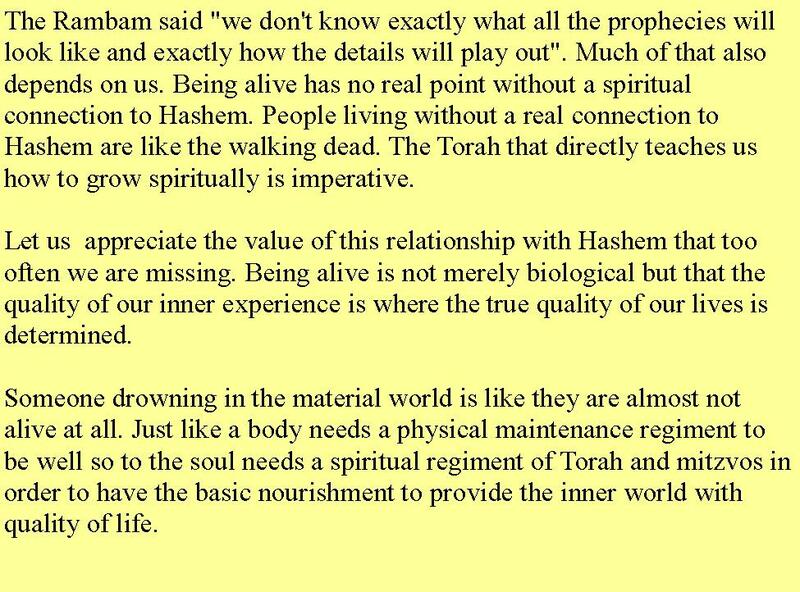 What do we hope to bring from the our nature into the service of Hashem for next year? Yearning for connection to His Oneness helps us face where our imagination has imperfectly connected to the world we see causing us pain, anger and difficulty. Let us seek Hashem every moment with love and joy for doing this work for which we are created and may we draw from above into this world His Compassion and make it possible for the revelation of His Oneness to be b'ahava.